Since 2001, M&M’s Window Cleaning and Home Services, Inc. has been providing a high quality product and service throughout the Valley. Beginning as a residential window cleaning company, our crews have serviced tens of thousands of homes. From small condos to grand estate properties, no project is too small or too large for us to tackle. At the request of our customers, in 2008 our window cleaning division began building and repairing screens. Our trained professionals have built and installed new bug screens, sun screens, and sliding door screens all over the valley. It’s a great way to beautify you’re home, and sun screens can save you thousands of dollars over the span of their lifetime. So what’s the secret to our success? It’s simple. 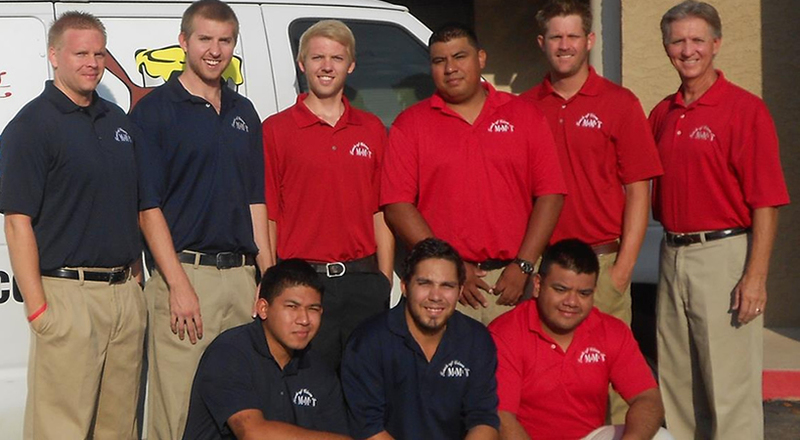 We want to give the best service and product of anyone in the valley employing clean-cut, polite, friendly people. As a family owned and operated business we enjoy building relationships with our customers to feel like family. Our goal is to ensure that every customer has a great experience so that we can serve you for a lifetime. And, our A+ rating with the BBB since 2003 shows that we genuinely care. Thank you for checking out our website. If you are in need of any of our professional services please give us a call. We would love the opportunity to earn your business.